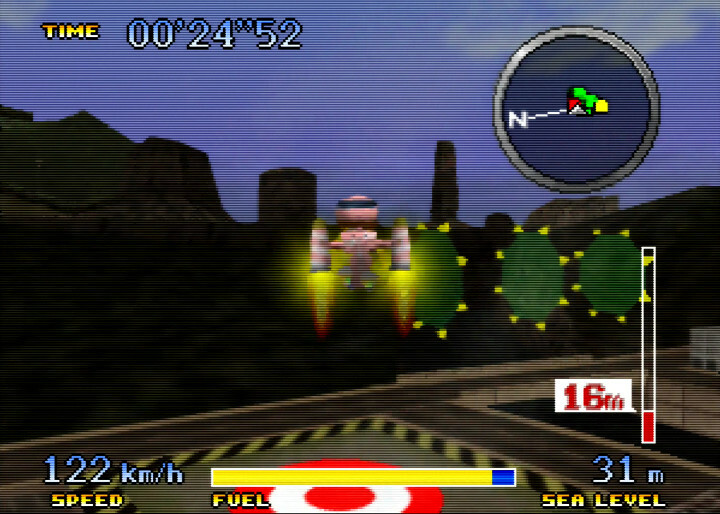 Pilotwings 64 was one of only two N64 launch games. 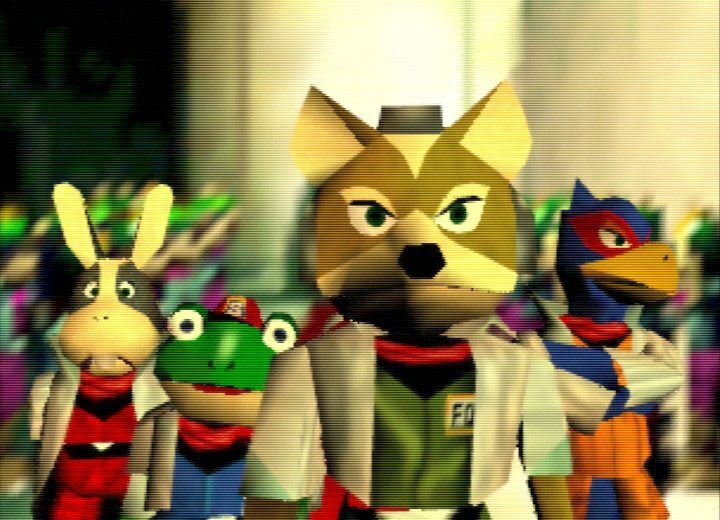 Nevertheless, it was immediately overshadowed by Super Mario 64 – easily the most anticipated game ever back in 1996. 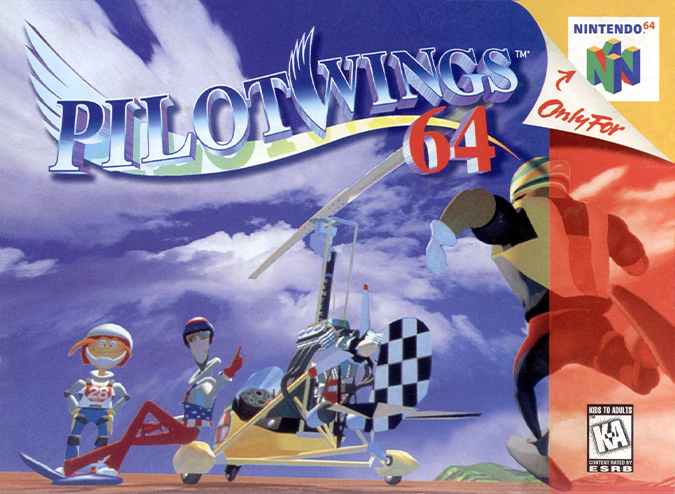 It’s a shame, because Pilotwings 64 is an excellent game. What’s more, it’s still very fun and playable today. 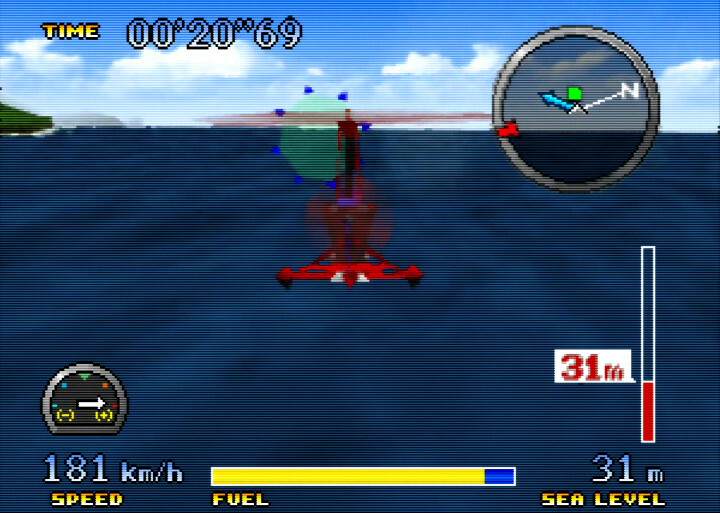 Pilotwings 64 is an amateur flight simulator. It strikes a balance between realism and simplified controls. 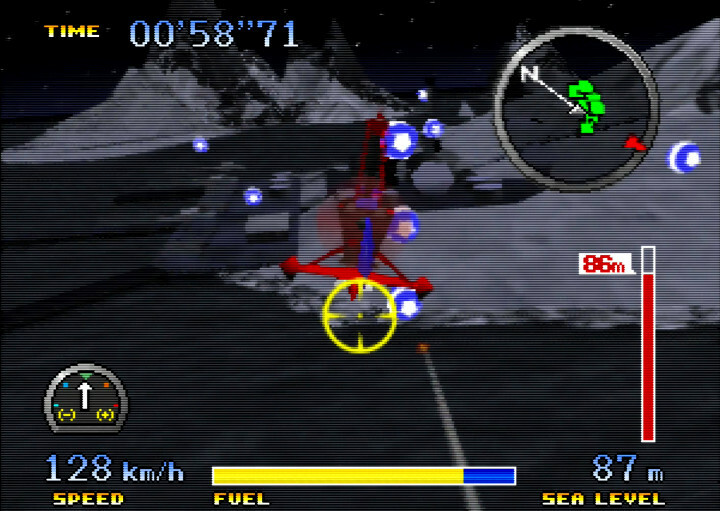 The main portion of the game features three playable vehicles: hang glider, gyrocopter and rocket belt. Across four pilot classes, you must demonstrate your proficiency with each vehicle in a number of challenges. These involve flying through rings, taking photos and hitting targets, among other things. There isn’t a story here. You just undertake increasingly difficult tasks until you reach the credits screen. 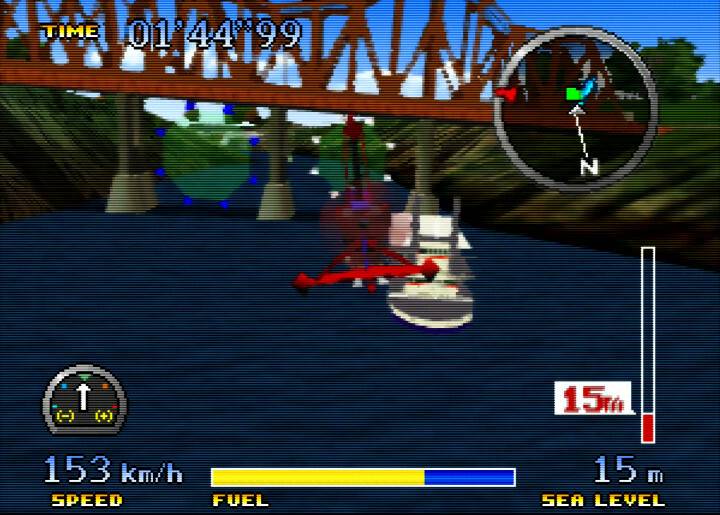 The game features four islands. They each come with their own features and environmental hazards, which helps to keep things both exciting and challenging. 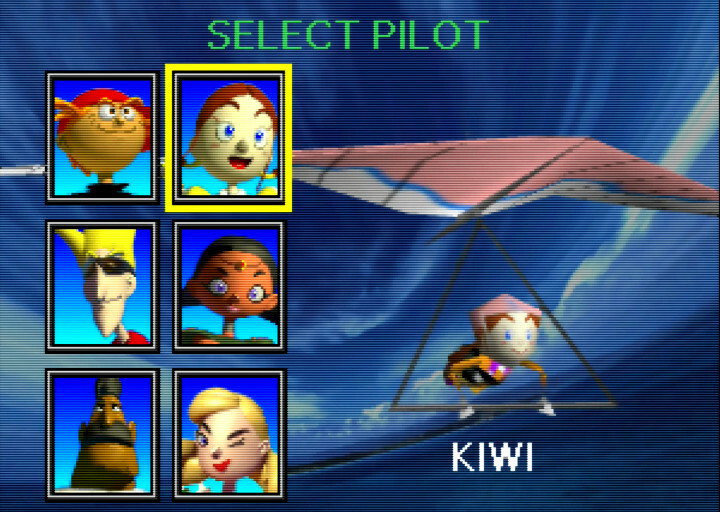 Pilotwings 64 features six different characters. Each falls into one of three different weight categories, and this affects a vehicle’s handling. Choosing the right character for a challenge isn’t crucial. You can definitely complete everything using whoever you want. But you will find some characters are a better fit for certain challenges. That’s because Pilotwings 64 scores your performance against a number of criteria. Did you fly through all the rings? How quickly did you complete the challenge? And was your landing both smooth and accurate? 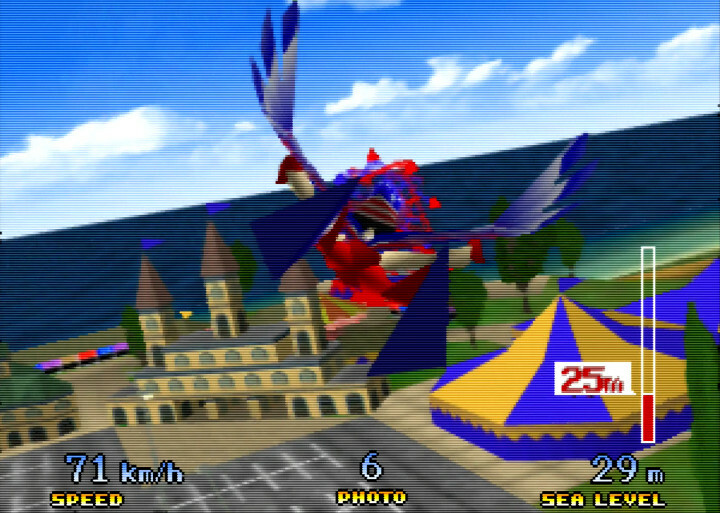 There’s a lot to consider, but Pilotwings 64 does a good job of easing you in. Earlier challenges are simple and meant to get you used to the game’s mechanics. However, as you progress you take on more complex tasks. You have to contend with weather and other environmental hazards. 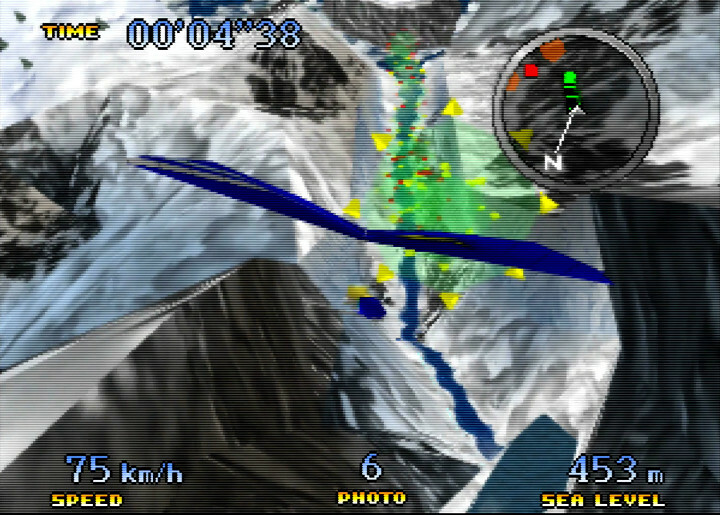 For example, the hang glider challenges require you to master using thermals to gain height. 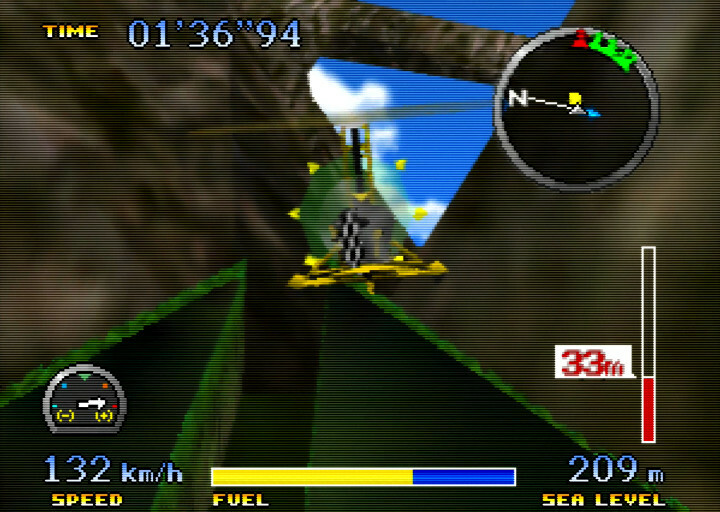 And the game isn’t shy about forcing you to fly your gyrocopter close to the ground and even under bridges. Wind direction and speed also make a noticeable difference. If you want to offset the impact wind can have then you have to use one of the heavier characters. All these nuances give the game a surprising amount of depth, and ultimately make it a more rewarding experience. 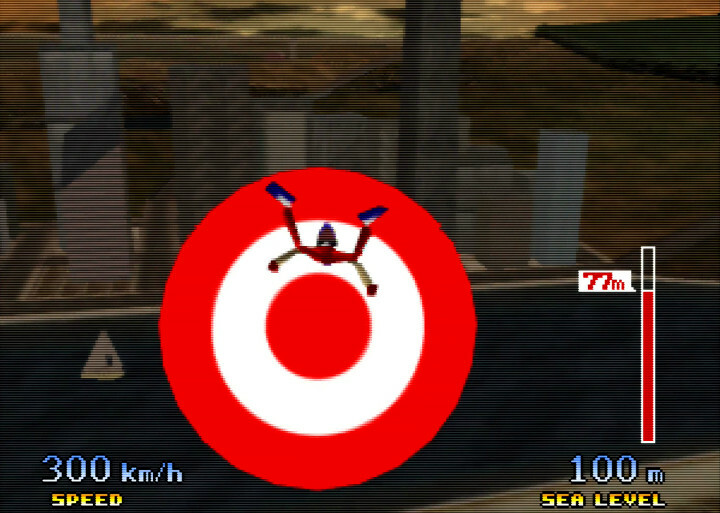 Pilotwings 64 is a pretty short game – you can easily complete it in an afternoon. That’s because there aren’t many challenges, and each one only last around five minutes at most. But the score-based system does encourage you to retry challenges and achieve a higher ranking. 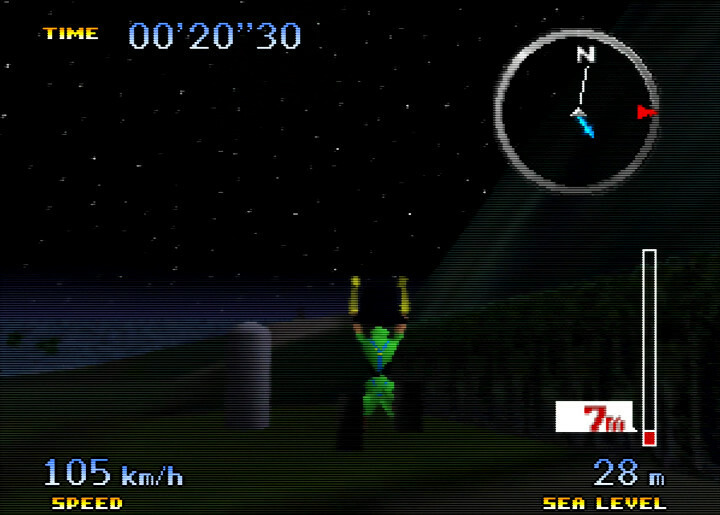 It may be a flight sim, but Pilotwings 64 doesn’t take itself too seriously. It evokes fun with its cartoony characters and silly sound effects. The mini-games you can unlock are further proof of this. There are four bonus activities: cannonball, skydiving, Jumble Hopper and Birdman. They’re all fun little distractions, although a couple of them have a few minor issues. Skydiving, for example, tasks you with forming mid-air formations with other skydivers. It’s a clever concept, but lining up your character is fiddly. Similarly, the spring-loaded Jumble Hopper boots are very tricky to use. You use these to bounce across the islands in search of a goal. But they’re difficult to control, which is surprising given how intuitive every other vehicle in the game is. Thankfully, the cannonball activity doesn’t suffer from the same issues. Here, you get to launch a victim of your choice at a large target. The closer they land to the middle, the more points you’ll score. Getting the right cannon firing power and accounting for the wind are important, resulting in a trial-and-error process that’s very addictive. But it’s the Birdman stages that steal the show. This is the only free-flight mode in the game where you can explore the islands at your own leisure. Each island has its own secrets and beauty spots, and so it’s nice to have the option to explore and appreciate the scenery. 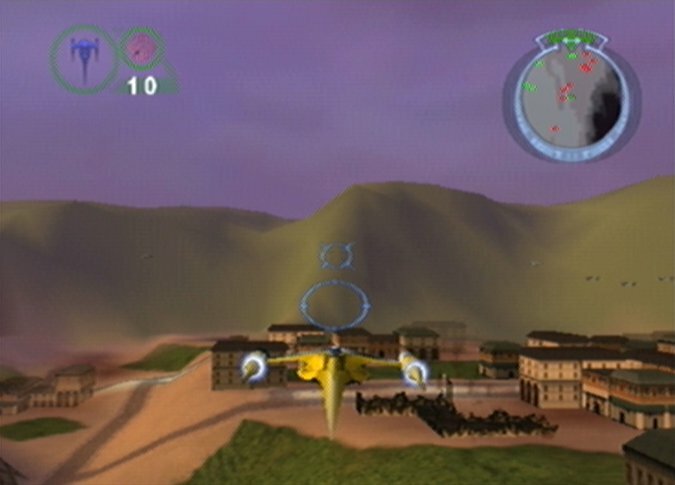 A beautiful jazz soundtrack complements your flight, making Pilotwings 64 one of the most relaxing N64 games you can play. 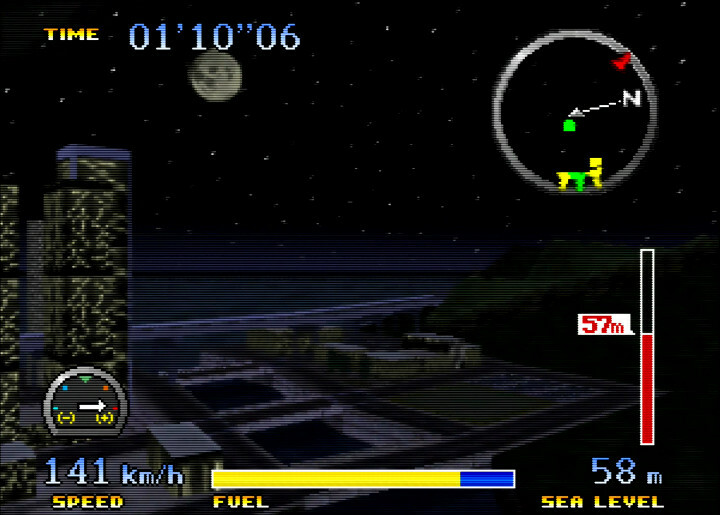 Pilotwings 64 is deliberately designed to make the most of the N64 controller. 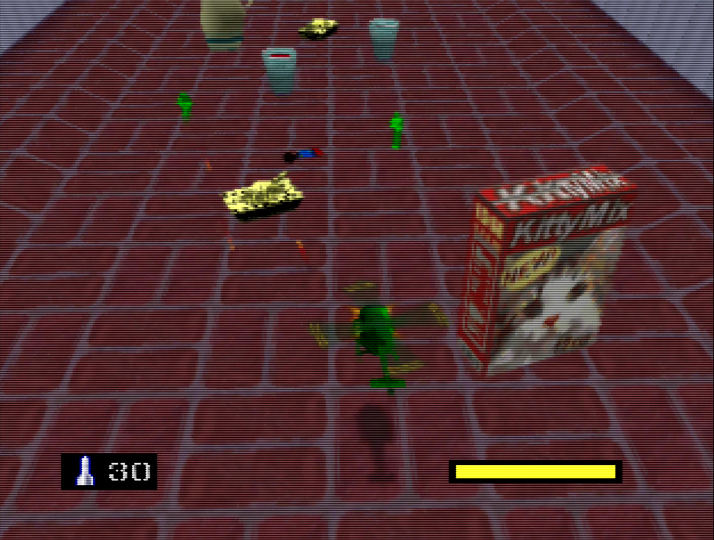 After all, it was an N64 launch game that had to showcase the console’s then-advanced capabilities. In particular, the joystick offers a highly accurate degree of control – even by today’s standards. For example, you can very precisely angle the rocket belt’s thrusters. It’s intricate, yet very intuitive. You always feel like you’re in complete control, the only exceptions being skydiving and the Jumble Hopper boots. Speed and altitude meters, as well as a radar, help you to find your bearings and accurately judge distances. It all works really well, without feeling overwhelming. 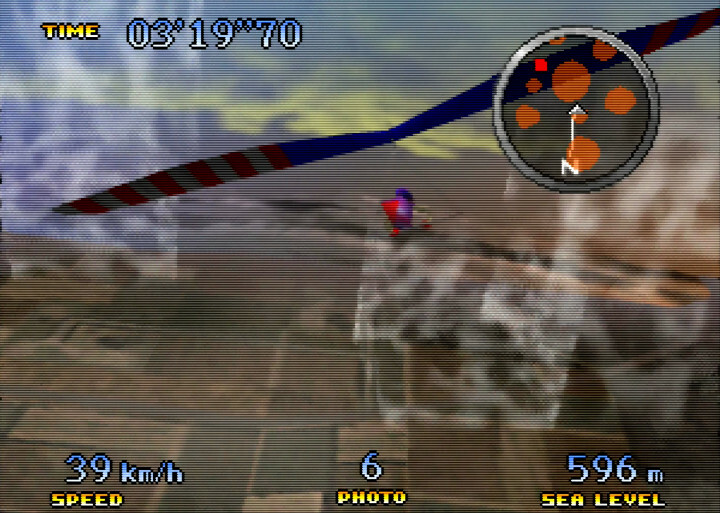 Pilotwings 64’s large open environments may look pretty basic today, but they sport some lovely little details. As you fly across each island, you’ll see many points of interest. Cities, towns, boats, and even waves gently caressing the coast. 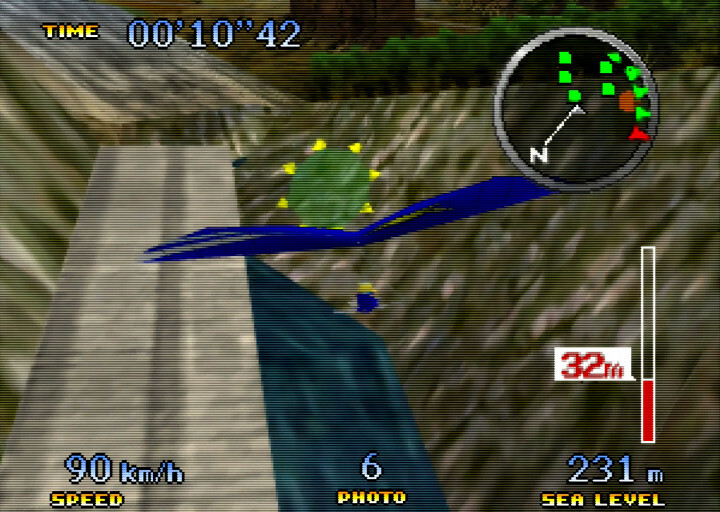 The game also does a fantastic job of using challenges to show off its carefully crafted islands. 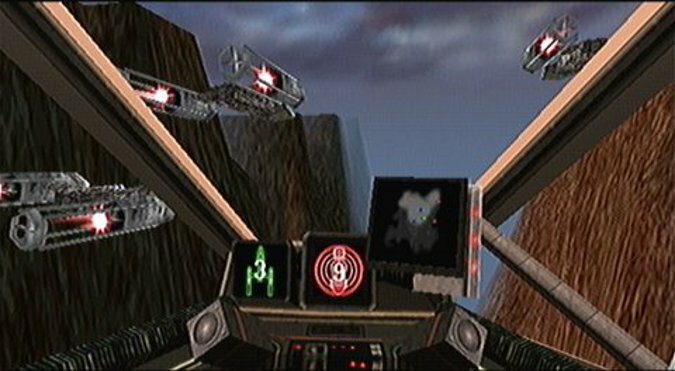 During your quest to become a top pilot, you’ll fly down a gorge, rocket-belt around a city and even hang-glide over an Arctic oil refinery. The beauty’s not in the low-poly models, but rather the impressive amount of attention to detail. 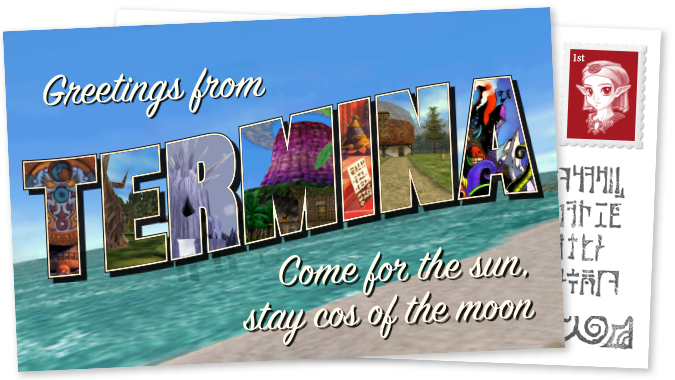 Nowhere else is this more apparent than in the game’s Little States island. This miniaturised recreation of the USA features a number of famous landmarks, such as Mount Rushmore and the Statue of Liberty. 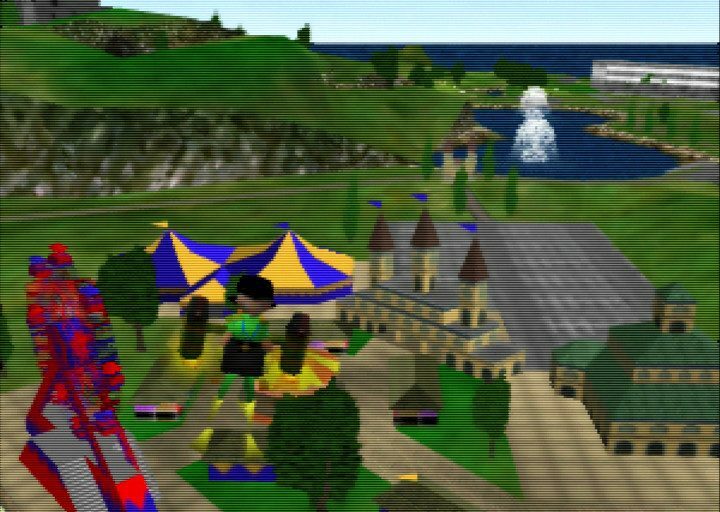 It’s a wonderful homage that proves Pilotwings 64 was very much a labour of love for its development team. Because the environments are so big, the frame rate can feel quite sluggish at times. It’s never detrimental to the gameplay, but the regular jumps and drops can break your immersion. The blend of realistic settings with cartoony character models works really well, giving the game plenty of colour and vibrancy. 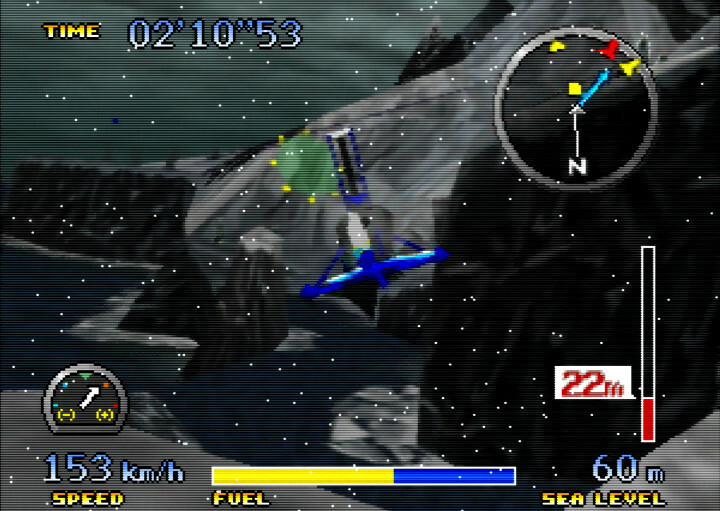 At the same time, the graphics are quite fuzzy, especially when playing Pilotwings 64 on a modern TV. 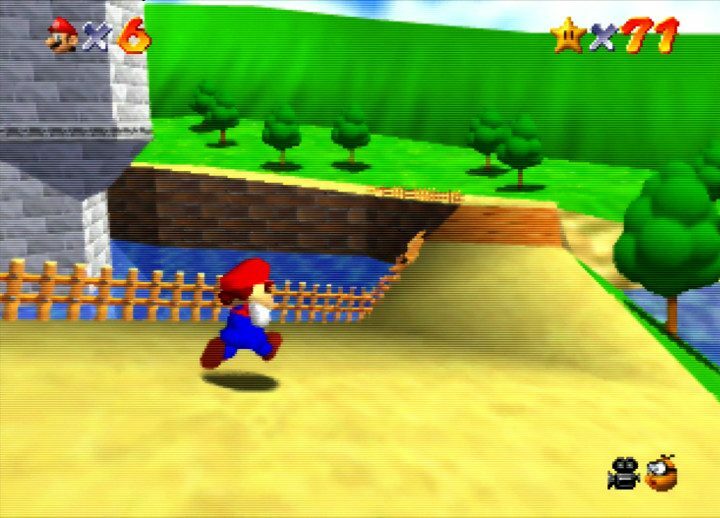 Using an UltraHDMI N64 improves this, but it’s still noticeable. It looks dated in terms of visuals, and the frame rate is a little sluggish at points. 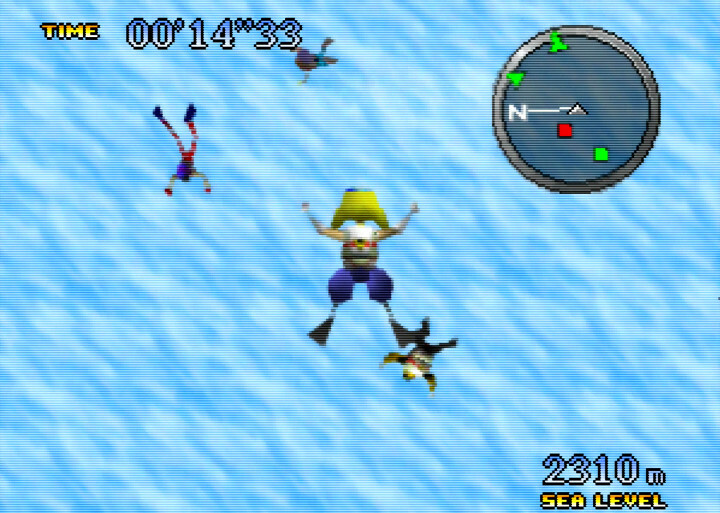 But other than that, there’s very little else you can fault when it comes to Pilotwings 64. The game achieves a superb balance of realism and offbeat fun. Save for a couple of moments, the controls feel highly responsive, accurate and, above all, straightforward. It won’t take you long to play through all the challenges. But the lure of returning to get a better score is hard to resist. 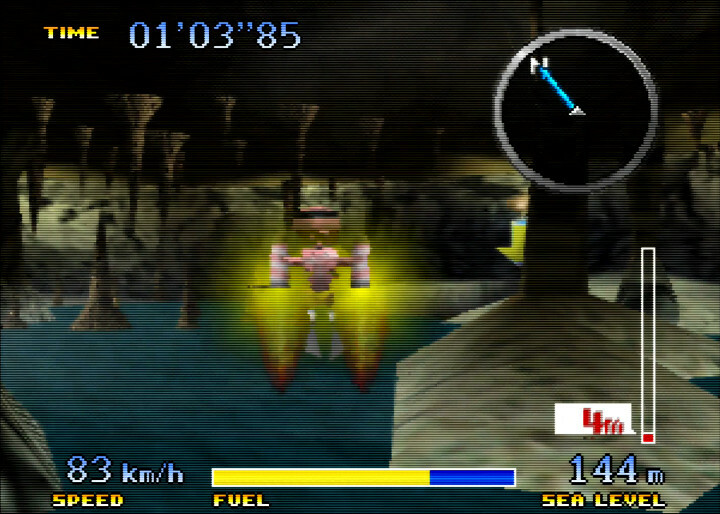 And then there’s the Birdman mode, which lets you freely fly around at your own pace. Here, you quickly realise just how expertly crafted this game is, from its surprisingly detailed environments to its intricate controls. 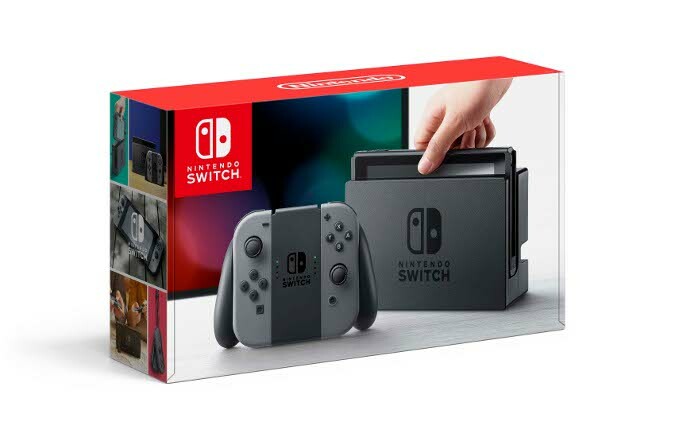 It may not be fondly remembered like its fellow launch title Super Mario 64. 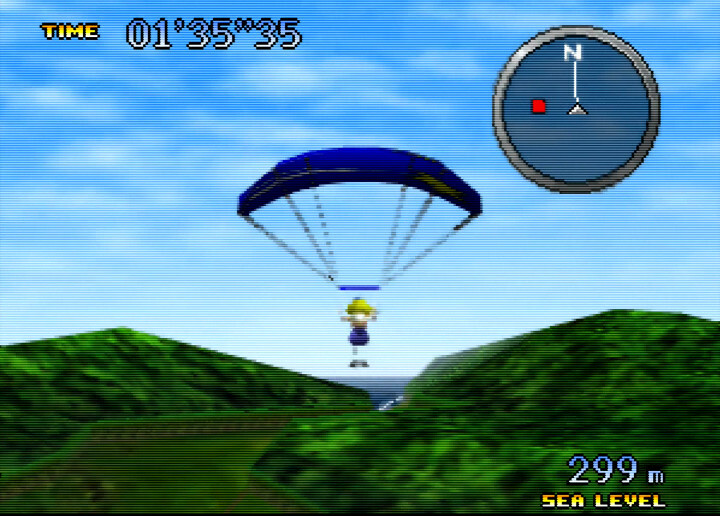 But that doesn’t matter when Pilotwings 64 remains a very fun and polished game to play today.